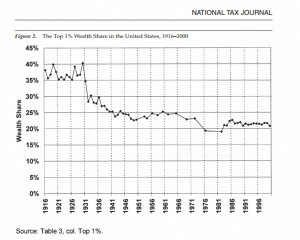 The original post that started my ongoing examination of Thomas Piketty’s data specifically examined a series of irregularities on Figure 10.5, one of his key graphs to sustain his thesis of a trend of increasing US wealth disparity since the 1970s. 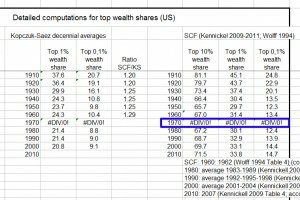 As I noted, Piketty seems to be using a decennial averaging technique to clean up a very incomplete data set covering the past century in the United States and to integrate his main source – the Kopczuk-Saez data set – with two other data sources that fill in some of the gap years. 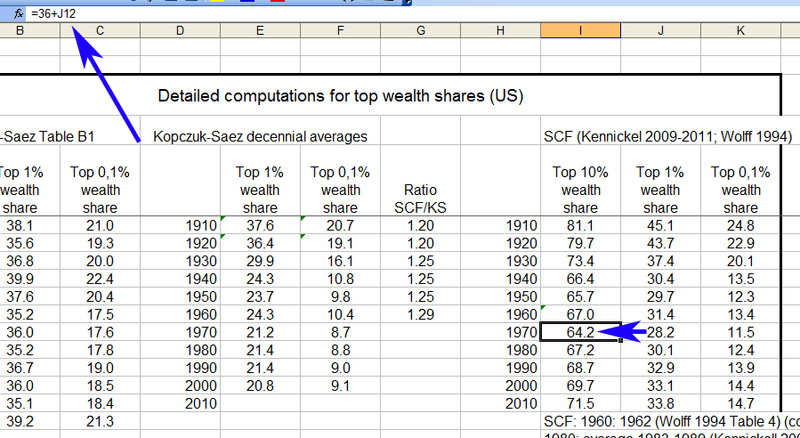 The largest gaps in Kopczuk-Saez occur between 1960-1980, with only two data points for the entire 1970s. 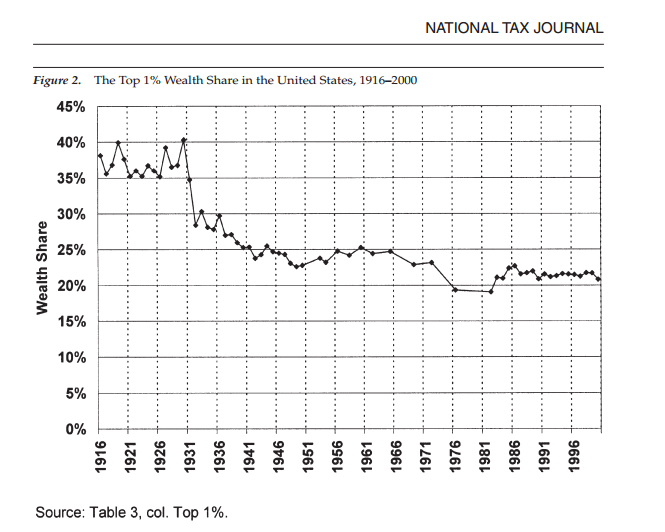 Piketty does indeed pull in Wolff, but as the chart below shows Wolff (1994) only supplied him with 3 years of data (see Part A, columns for the top .5% and next .5%) – 1962, 1983, and 1989. As far as the 1980s go this is also a somewhat odd “supplement” to make, considering that it reduces his average from the eight 1980s data points found in Kopczuk-Saez to only two, albeit estimated with a different methodology. 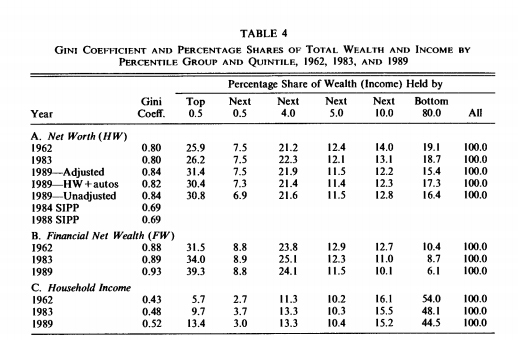 Piketty clearly uses Wolff’s 1962 figures to augment his 1960s estimate from the Kopczuk-Saez set. This may be seen in the cell formula below, where he directly codes them into the 1960s calculation, which he then uses to calculate similar averages for the top .1% and the top 10% (more about that shortly). What he’s claiming here is supposed to be reflected in his graph, to wit: starting at the Gilded Age peak we see a half century decline in wealth holdings by the top 1% and 10%. This trend reaches a bottom in the 1970s (the kink we see on his graph at the arrow below) and then reverses course after 1980 – a trend he attributes to the Reagan era tax cuts – where it has continued upward ever sense. In other words, dropping Kopczuk-Saez breaks his entire set of 1970s decennial averages. But notice something else about Kopczuk-Saez. Their data for the 1980s and 1990s is virtually flat. This is also the point where Piketty drops them from his graph, switches to a different calibrated average from Wolff for most of the rest of the 1980s, and then switches again to the Kennickell SCF-based index for the 1990s-2010s. 1. 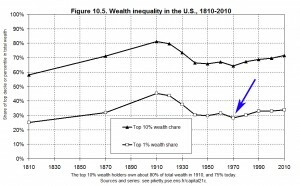 By using the problematic 1970s average drawn from only two data points showing a pronounced dip between them, Piketty accentuates the severity with which that dip registers on his cumulative graph. Fluctuations in prior years, by contrast, tend to be absorbed in decennial averages based on ten rather than two data points. 2. By switching away from the Kopczuk-Saez data set – which is actually flat from the 1980s onward – to calculate his decennial averages in the 1980s-2010s, Piketty ensures that already-accentuated 1970s dip is immediately followed by a continuous upward trend. 3. 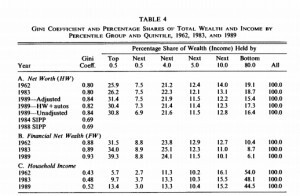 When Piketty blended the supplemental sources into Kopczuk-Saez, he found that the supplemental estimates tended to show slightly higher levels of wealth concentration than Kopczuk-Saez across the board. He addressed this by recalibrating all of the Kopczuk-Saez-based decennial averages upward to sync them up with the supplemental sources. Therefore wealth concentration also registers slightly higher across the board on Piketty’s constructed graph than it does on his main root data source. 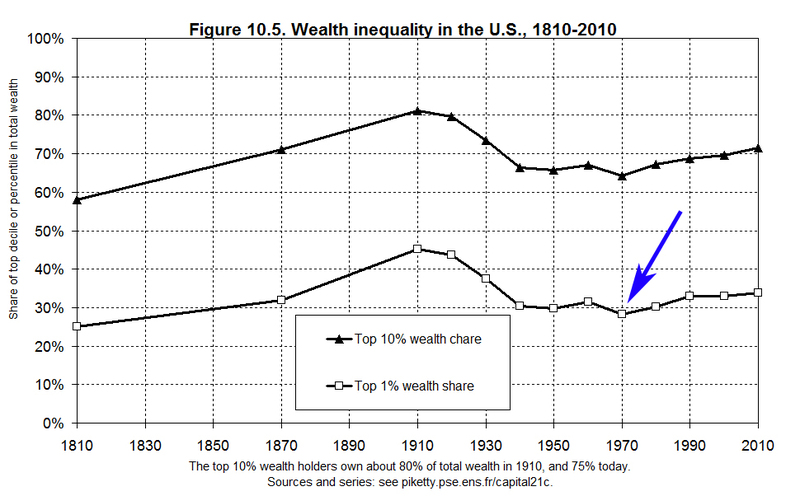 Note that the resulting graph comports directly with Piketty’s historical narrative, found in the excerpt above and repeated at multiple points throughout his book, to wit: starting with a high watermark of wealth inequality in the Gilded Age, US wealth disparity dramatically declined across the mid 20th century to a 1970s low, then – spurred by the 1980s tax cuts and other related policies – started a sustained reversal into the present day, with a clear trend toward returning to those Gilded Age peaks. If this all sounds a bit post-hoc in its rationale, that’s because it is (and indeed others have found basic errors in his recounting of historical tax and minimum wage rates for the US). It seems we now also have an unfortunate bit of confirmation bias at play in the graph he produced to accompany this narrative. 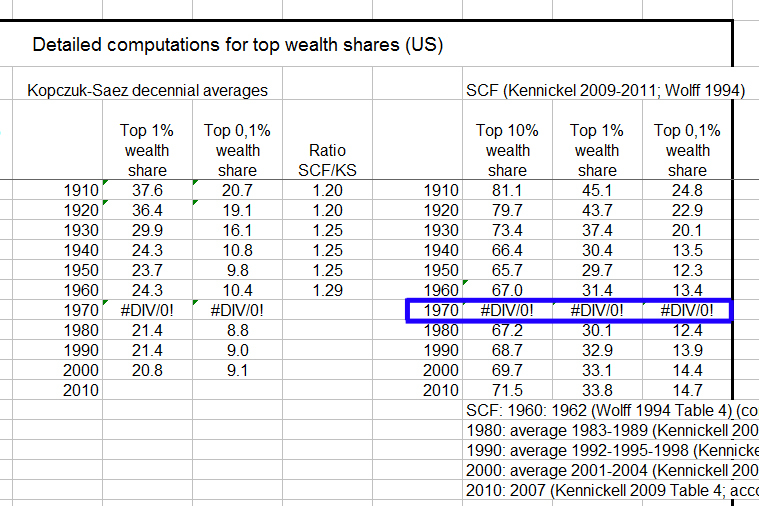 Note that the Kopczuk-Saez set and Piketty’s aforementioned modifications and supplements all pertain to estimates of wealth held by the top 1%, plus a narrower index of the top 0.1% “super rich.” Yet as I mentioned above, Piketty’s Figure 10.5 also contains a parallel representation for the top 10%. So where exactly did this second set of numbers come from? One of the unanswered questions posted by the original Financial Times analysis gives us some clues – Piketty’s top 10% data is actually just a simple – and highly questionable – modification of his decennial average for the top 1%. Here he simply takes the already problematic graph he devised out of Kopczuk-Saez with the Wolff & Kennickell supplements and adds a fixed percentage – 36% for most decades, though in his 1980s-2010s data points seem to incorporate averages of different data – to get his overall result. 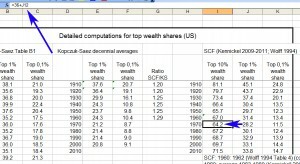 This can be seen in the spreadsheet below, where Column J is the top 1% decennial average that he compiled in the manner I have deconstructed and detailed above and Column I is the addition of the fixed percentage to the results of the 1% average. I’ll leave it to the reader to evaluate the validity of this approach. 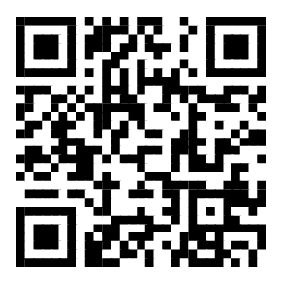 This entry was posted by Phillip W. Magness on Tuesday, May 27th, 2014 at 3:12 pm	and is filed under Uncategorized. You can follow any responses to this entry through the RSS 2.0 feed. Both comments and pings are currently closed.